We all love a bit of digital marketing but leaflets still play a significant role in all manner of marketing and promotion activity and remain the number one 'go-to' product when you have any sort of information to share. Leaflets enjoy great versatility in terms of area of information; a simple single sided leaflet or 24 page folded leaflet gives you a whole heap of choice in deciding how much you want to share with your customers and how best to do it. 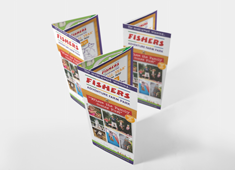 With a range of attractive materials, folds and styles our leaflet printing services give you all the options you need to reach any size of audience. Have a scroll to the foot of this page for some top tips on design and key information on getting the best from your leaflet. 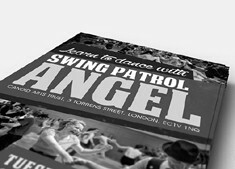 Our Recycled Uncoated Leaflets are ideal for a truly organic, eco or retro look and feel. This type of material is often referred to as 'matt' as well as the paper has no sheen to it at all. Printed using vegetable oil based inks this product is the ideal choice for an eco-friendly leaflet. Our gorgeous Gloss and Silk Leaflets are ideal for menu printing, hand-outs and promotions, or folded to create eye-catching newsletters and mini-brochures. With an expensive look and feel these little gems are desirable and affordable! If you need some folded leaflets then we have the product to suit you. From 4 to 6 pages our Standard Folded Leaflets come in finished sizes of DL (like a compliment slip), A5 and A6. All of those extra panels give you lots more space for your marketing, information or promotions. Choose from uncoated, silk or gloss papers. NEW! Our black printed leaflets help your budget go further by taking out the cost for colour print. Litho printed with vegetable oil based inks in quantities from 2500 up to 25,000. The more you order the better the unit cost! Create your design in black or greyscale for a groovy marketing, informative or promotional leaflet available in a comprehensive range of flat or folded sizes, printed on smooth silk or 100% recycled papers. 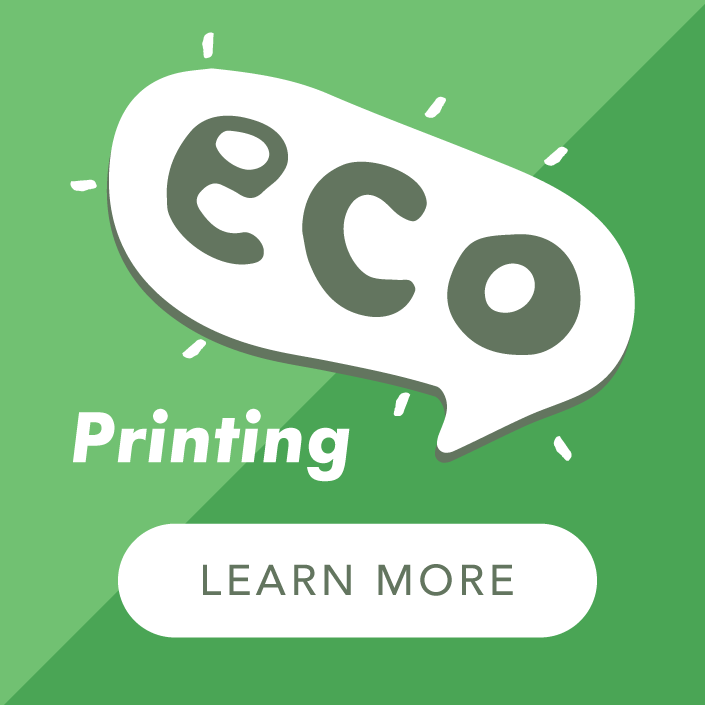 Our eco-printed kraft leaflets are the ones that are going to stand out a mile! Printed in full colour on thick 170gsm eco kraft paper these have the power to stand out from the crowd with a pleasing look and feel. Great for emphasizing organic or natural elements, kraft papers make fabulous eco menus for farm shops and cafes. Let the power of kraft boost your marketing and promotions - who can resist such a handsome creature! 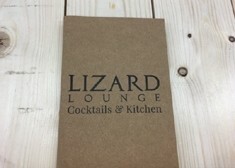 Black printing on natural brown kraft leaflets makes a very bold marketing product. The single colour black stands out cleanly against the paper but remains in harmony with the colour of the kraft. We litho print these black print only leaflets with vegetable oil based inks on 170gsm paper for a product that is as eco-friendly as it is stunning. 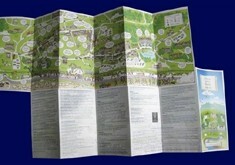 Cross Folded leaflets, also known as Map Folded, are the big daddy of the folded leaflet range. Perfect for event and concert guides, festivals and product information sheets. 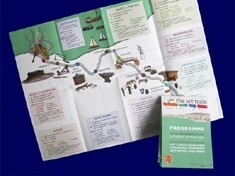 We have a complete range of cross folded sizes printed on a choice of materials and ranging from 8 pages to 24 pages. Come on - that should be enough for most people! Our Concertina (zig-zag) Leaflet Printing is available in finished sizes of A5, A6 or DL with 8 to 12 printed panels waiting to be filled with your lovely images and text. 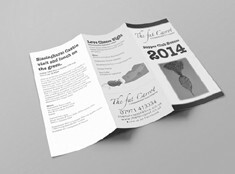 You can choose from premium Gloss, Silk or 100% Recycled material for the leaflet that suits you best. All printed with eco-friendly inks on paper from sustainable sources. 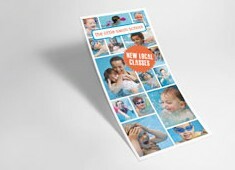 For Budget Priced Leaflet Printing without a budget look or feel. Choose from our 130gsm Glossy print or 100gsm Recycled paper, either one will be right up your street. Printed with eco-friendly inks on paper from sustainable sources this lovely product comes in a range of flat and folded sizes from A6 to A4 and everything in between! There is lots to say about how to get the best from your leaflets - so much that we felt it warranted a separate page to help with the decision making process. We have a fact filled page that you can jump to for more information about them and what makes them a great product! At A Local Printer we don't subscribe to the 'furniture warehouse' school of printing. Our prices start low and stay low - and when we have a promotion code available you can be sure you are getting a genuine reduction. If we inflated our prices we could easily offer 50% off on a regular basis, but we don't work like that. We want our customers to be sure that whenever they come to our website the price will be the same as their last visit. Consistency may be boring, but it saves you money! Need Design for your Printed Leaflets? Starting from scratch? We have a team of designers ready to take your instructions for your design and offer a bespoke print and design package to ensure you have professional artwork to help you achieve the best results. Take advantage by selecting Add Design from 'Build Your 'Order on the product pages for instant design prices. Once we have done our magic and the design is approved it is yours to do whatever you want and can be used time and again. We will need you to help us out with your design requirements - having something in mind before we begin will give us something to work with. If you are supplying print-ready artwork it can be uploaded when you place your order or sent later to studio@alp-group.co.uk – the choice is yours. - Grab your audience with a full-on headline. Ensure it includes all your key points and use emotive language - Special, Limited, Reduced, Offer, Exclusive etc. - Less is more. Keep your text to short, easy chunk paragraphs and don't overwhelm the reader. - Pictures keep attention and increase interest and desire. Make sure your images are high resolution - don't pinch pics from the internet because they just won't work very well! - Keep it Handy Harry. 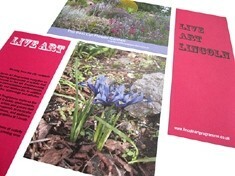 Make sure your artwork is for a standard size leaflet that people can pocket. - Give a little - a promotion or incentive will increase your returns. - Check and check again. Proof ready everything at least twice and get another proof reader involved too. Bad grammar and wrong spelling is a massive turn-off and can damage your promotion. Our printing services conform to the very highest environmental ISO Quality and Environmental standards. Whether environmental concerns are your top priority, or you just want an authentic organic look, our 100% recycled leaflets are the best option. If you want more vibrant colour go for 150gsm gloss or silk printing - all printed on sustainably sourced materials using vegetable oil based inks. Why not have a browse through some other products that go hand-in-hand with leaflets and can work in harmony to make the effectiveness of your printing even better. Flyer Printing - an obvious choice really! You can add some flyers to the mix for a quick hit of information or as a tasty teaser for the promotion you are running. 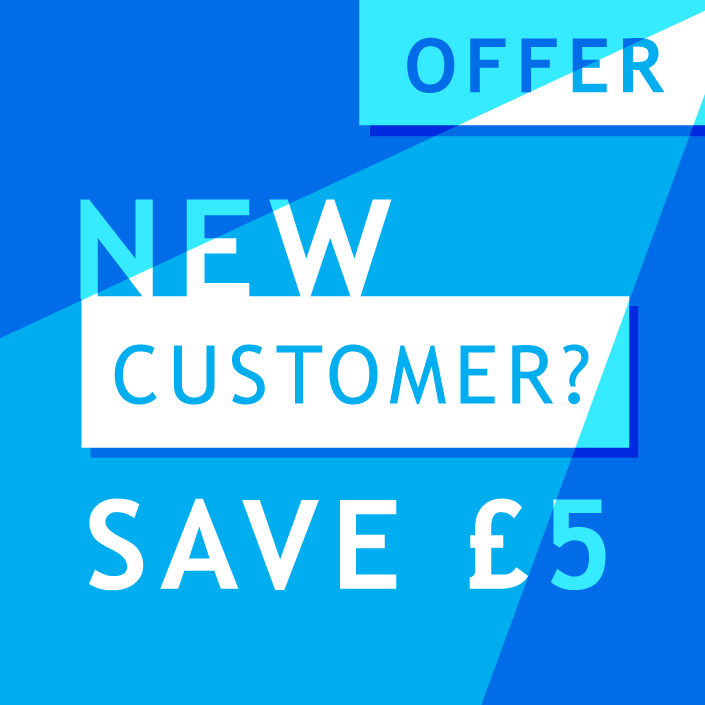 Use your flyer to create interest and your leaflets to support and endorse your products or services in greater detail. Posters - the ultimate in eye-catching attention seekers! 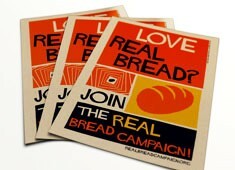 A few carefully position posters will act as the attention grabber and your leaflet will finish off the deal. 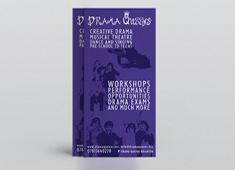 Business Cards - have a handful of business cards at the ready or even attached to your leaflet. They act as a quick reminder of you and ensures instant access to your contact details.